We ensure that all our people are committed to building a new model of sustainable chemistry in their daily activities by guiding them with fundamental approaches and texts such as our People and Management models, Solvay Way, as well as our Code of Conduct. All employees throughout the Group are part of one company, working together to achieve the same results. Our People and Management models help us create the right mindset and successfully transform the Group to achieve our ambition and deliver more future for our stakeholders and society at large. They shape our culture and reflect our DNA, guiding how we achieve results, how we want to interact with each other and with our customers, and the behaviors we want to foster within Solvay. While our Management model defines the “how”, through empowerment and accountability, our People model states our commitments both as employees and as one company. Making customers a top priority. Our customers are changing and we need to change with them. Our undivided attention will enable us to better understand, anticipate, and deliver the solutions they need. Nurturing and empowering our talents to suit our business environment and challenges so they deliver optimal performance and are creative and adaptable. Internally and externally, to leverage fresh perspectives and breakthrough ideas, and deliver innovative solutions. 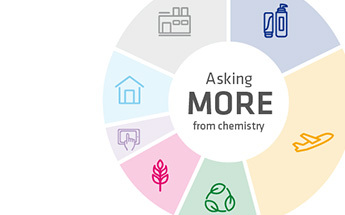 For us at Solvay, “asking more from chemistry” means being responsible in the way we act and innovate while contributing to society. 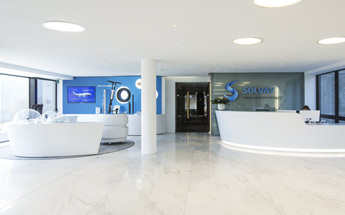 Solvay Way, the Group’s approach to sustainability, defines the way we act on a daily basis, from the highest level of management to the operational level. It covers all the Group’s management systems: Health, Safety and Environment, Human Resources, Ethics Charter for Suppliers, Anti-corruption, Code of Conduct, Ethics in Business Conduct, etc. Our objective is to create value; the way we do this integrates social and environmental factors alongside economic criteria. As a result, the company’s management and strategy take account of our stakeholders’ changing expectations, which ensures sustainable value creation shared with the Group’s stakeholders (customers, employees, planet, investors, suppliers and communities). A global network of more than 200 “Champions” and “Correspondents” who ensure its active deployment within GBUs sites and the corporate Functions. 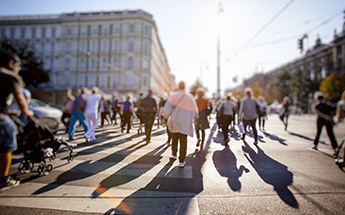 Each year, 100% of sites, GBUs and ­Functions assess their progress in terms of Corporate Social Responsibility. Aligned with the ISO 26000 standard. All Solvay employees are required to follow the Group’s Code of Conduct at all times, inheriting a strong tradition of values deeply rooted in the company’s culture. The cornerstone of our Ethics and Compliance program, this document lays down a series of principles that define the standards of ethics and integrity in the workplace, in doing business and as a corporate citizen. To counsel employees and ensure that the Code is well known by all, Compliance officers have been appointed in all four geographical zones where the Group operates. Code of Conduct available in 14 languages. 6,973 people trained in 2016. Dedicated confidential helpline available in more than 40 languages on the web. Aligned with the 10 principles of the UN Global Compact.